I'm expanding my internet fishing reports sections and I want to team up with you! Anglers surfing the web for Northern Minnesota Fishing information need a site where they can find reliable, up to date fishing, lodging and lake conditions updates. 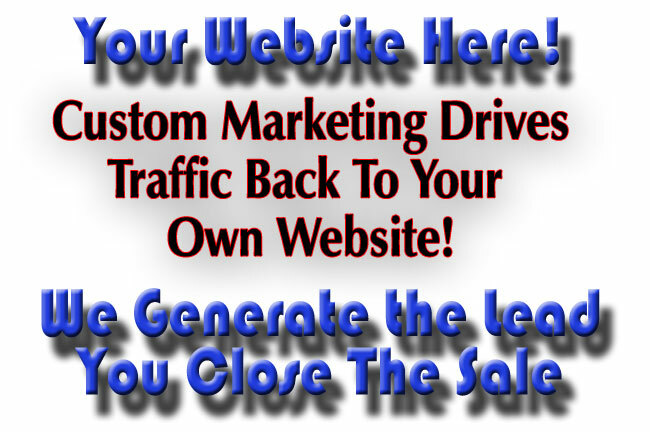 One report, one site, with a winning format that will drive new customers to you! Make it easy for new customers to find your website, your phone line, your business. As a full time, professional guide and outdoor writer, my personal website strategy has always been to attract new customers by giving them up to date and well written fishing information. It's a great sales tool, but until recently, it's all been based on where I go and what I do. Now I'm expanding the reports even more. I want to include updates from you, your lake, your customers and your business. Information that you provide that drives traffic to you. By combining up to date web content, effective linking strategies, social media and proven marketing prinicpals, potential customers find everything they need fast. Fishing, lodging and service businesses all linked together, all in one place. A solid marketing plan that benefits every fishing and hunting related business. Everyone can find a way to take advantage of the offer. You choose the level of service that provides the best value! Pricing Based on 6 month service plan agreement, billed monthly. 7% Discount When you buy 12 month package. 7% Additional Discount for Pre Payment with order. Original custom content for placement on your website. Full Page custom content w/photos generated weekley. Written and photo content based on personal weekly interviews with staff & customers. Written and photo content based on customer supplied information, edited by writer. Banner Ad ( Top Level ) on Fishing Reports Page. Banner Ad ( 2nd Level) on weekly fishing report page. Banner Ads interior site pages. Integrated with social media networks. Your own section in weekly fishing reports page. Photo content provided by customer. Written content provided by customer, unedited. Article content included and updated at least weekly. Live text links embeded in article content. *Embeded text links with free plan are in exchange for backlink to our reports page from customers website.